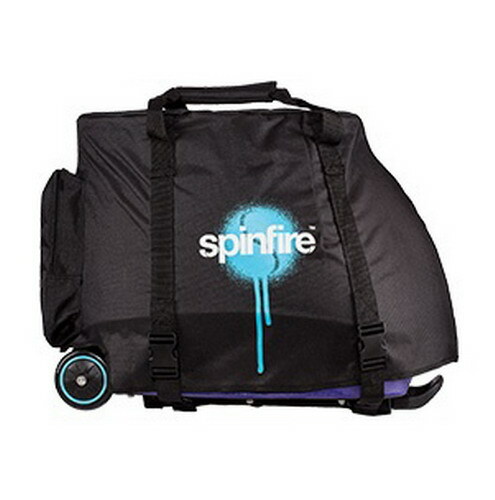 The Spinfire Pro 2 heavy duty carry case is designed to allow you to either carry it by the handle or wheeled. It also includes pockets for storing the remote control and other accessories. The machine can also still be wheeled while using this case. It also doubles as a dust cover. This will protect your machine from dust, debris, leaves, etc. While water resistant it is not waterproof so it should not be used to leave the machine out in the weather. Also rain can still bounce from the surface up into the bottom of the machine.